SocialNicole.com » Facebook » Facebook For Business: What’s the Best Time to Post on Facebook? In the years since its creation, Facebook has become one of the most effective ways to spread messages and to have content seen by customers and potential customers. Smart businesses looking to grow their customer base have started investing a large portion of their marketing dollars into growing their Facebook community. Just like conducting face-to-face business, there are tricks to the trade when it comes to running a Facebook business page. One of these tricks is knowing the best time to be posting your content. Why Does the Time of Day You Post on Facebook Matter? You want your content to be seen by as many people as possible, and posting at the most popular time of day when your audience is present will make a difference in how many people see your content. Your goal is to be seen and be noticed, therefore posting at the right time of day matters. A quick Google search on the subject will yield varying results when it comes to the best time of day or day of the week to post organic Facebook content, and trying to take into consideration all the different opinions can make one’s head spin. There are many approaches experts will take as to what time of day is best to post, from specific hours of the day, dependent on time zones and taking into consideration what sort of schedule the target audience may have, to the opinion that there is no best time of the day or the week to be posting organic Facebook content. While there are many different opinions, we have some concrete tips on how to approach this Facebook posting strategy. This seems counterintuitive as your goal is to be seen and posting during the busiest times of day is one way to get in front of people. But you are also competing against every other business if you post during peak hours. 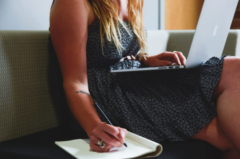 Rather than limiting yourself to only posting at very specific times, such as before 9 pm or during the traditional noon lunch-hour, you can try scheduling your organic content to go out during off-peak hours of the day. This means posting during the time when fewer people are sharing content – particularly your business’s competitors. If you don’t know who your competitors are, you can do a search using Facebook to discover what other pages or groups your fans have liked or joined. Facebook allows you to search a combination to narrow down the results – such as “People who like SocialNicole and live in Minneapolis.” Playing around with searches in Facebook can quickly lead you to some of your potential competitors’ pages. Being aware of what you’re up against can be immensely helpful as you try to make a game-plan for posting your own organic content. With this approach it is important to track metrics and see what the results are. It is possible this will work great for you and you will identify a new time of day to post, but you will not know unless you track your results. Testing is essential to any solid social media strategy. One of the most effective ways to determine when you should be posting on your Facebook page is by looking at your own page’s history. 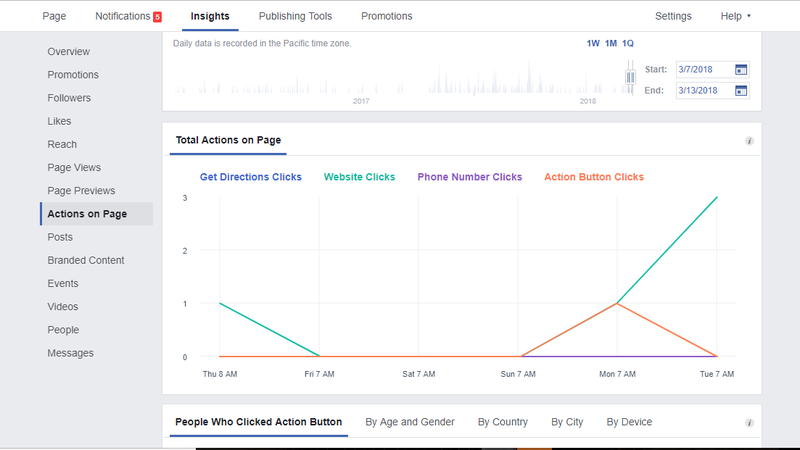 This can be done using the “Insights” tab on your business’s Facebook page. 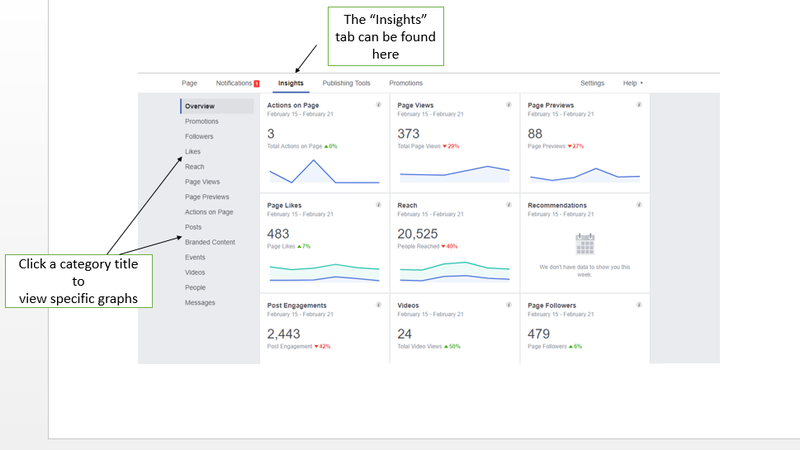 The different graphs under the Insights tab will give you different information about how your page is doing, and many of them – specifically Page Views, Page Previews, Actions on Page, and Posts – will include the time of day in the data they give. 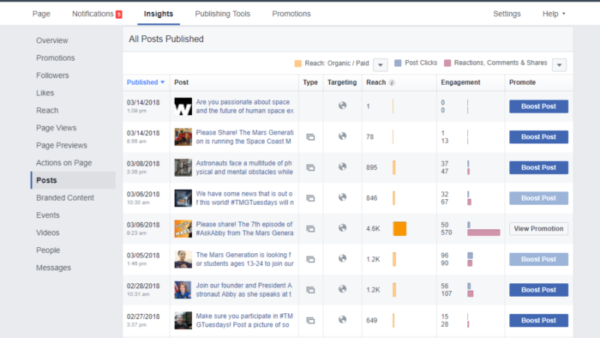 For instance, if you click “Posts,” it will display a graph showing the times of day that your page’s followers are interacting with your posts. In addition to this, clicking “Actions on Page” will show you what days and times each action has happened recently. Using your own page’s history can be the most helpful thing in determining when to post your content – even more so than learning a universal “best time to post on Facebook.” In fact, a universal best time may not even exist – instead, utilize your insights tab to figure out the best times, specific to your own page. 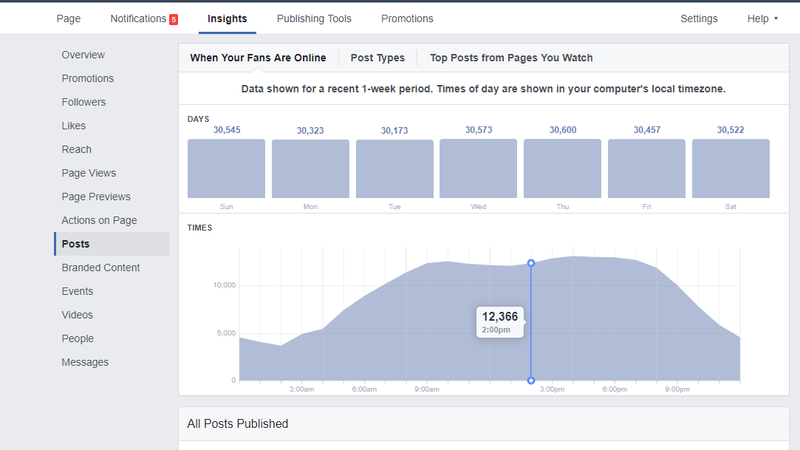 Lastly, although you can definitely use your Facebook page’s data to figure out a time of day or day of the week when your page gets the most traffic, it’s important you remember that WHAT you’re posting has a bigger impact than WHEN you’re posting. If your content resonates with your audience – if it facilitates interaction, especially shares – your posts will end up being seen by more eyes overall. Posts that are relevant to and engaging with your audience tend to do the best. If you are not sure which of your posts have yielded these results, you can go back to the “Insights” tab, and find this information once again under the “Posts” graph. This data shows your posts and their reach and engagement. Again, studying your own page’s historical data can prove the most beneficial when determining what types of posts get you the most traffic. While the information and opinions on the best time to post on Facebook floating around the internet can be confusing, there are a couple of things you can do to figure out what works best for your page. Checking up on your competitors’ pages can be helpful in determining when you should be posting. Most beneficial, though, is studying your own page’s data and figuring out what has historically worked – and what has not – for your business’s Facebook page. In the meantime, if you need some extra Facebook guidance, sign up for our free updates and feel free to contact us if you are ready to take the next step in growing your business using social media marketing. Next article: Should You Verify Your Facebook Page?